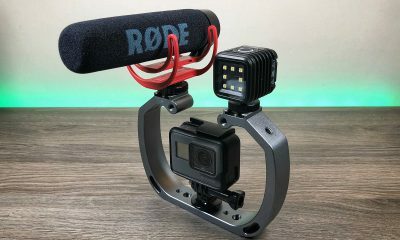 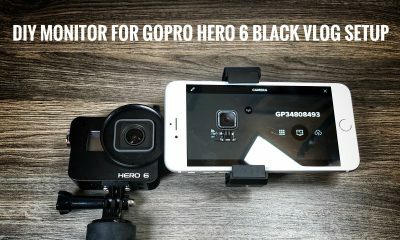 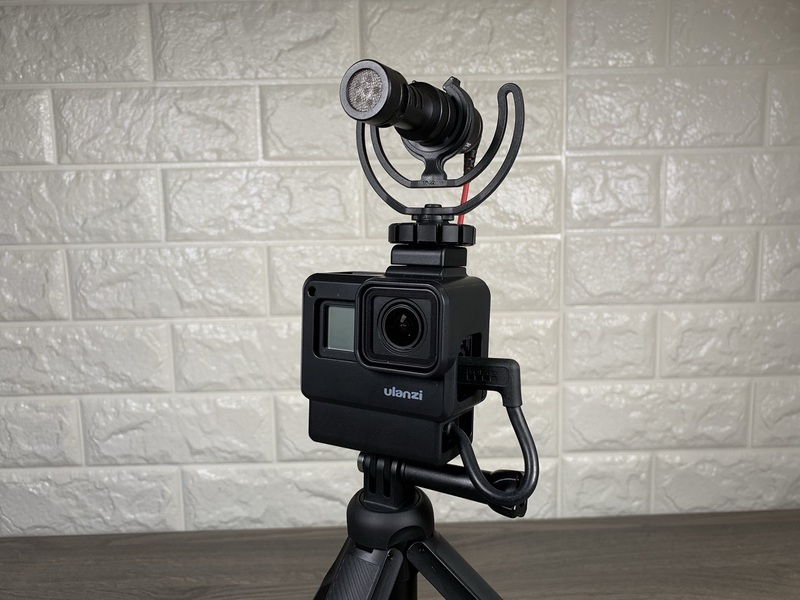 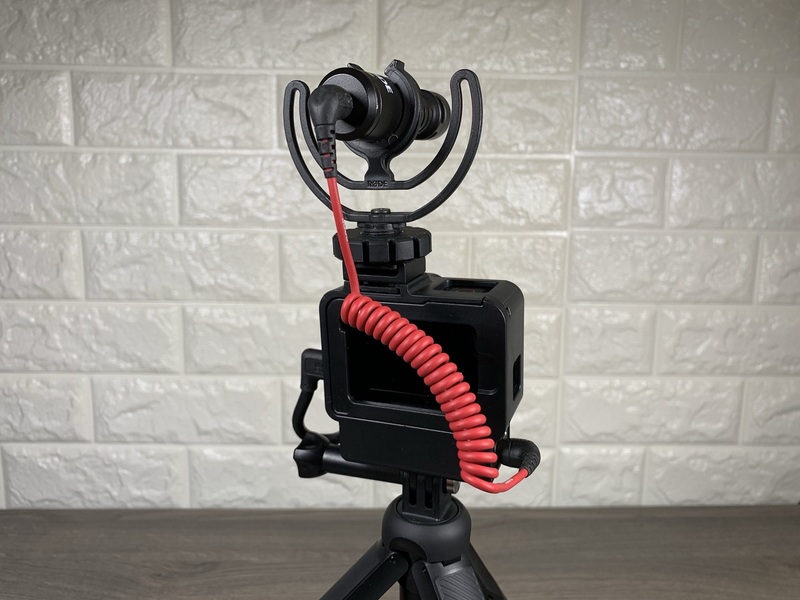 In this video review, we are taking a closer look at the Telesin triple charge for the GoPro Hero 6 Black and The GoPro Hero 5 Black. 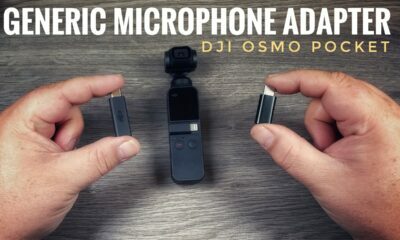 Because both cameras use the exact same battery it works for both cameras. 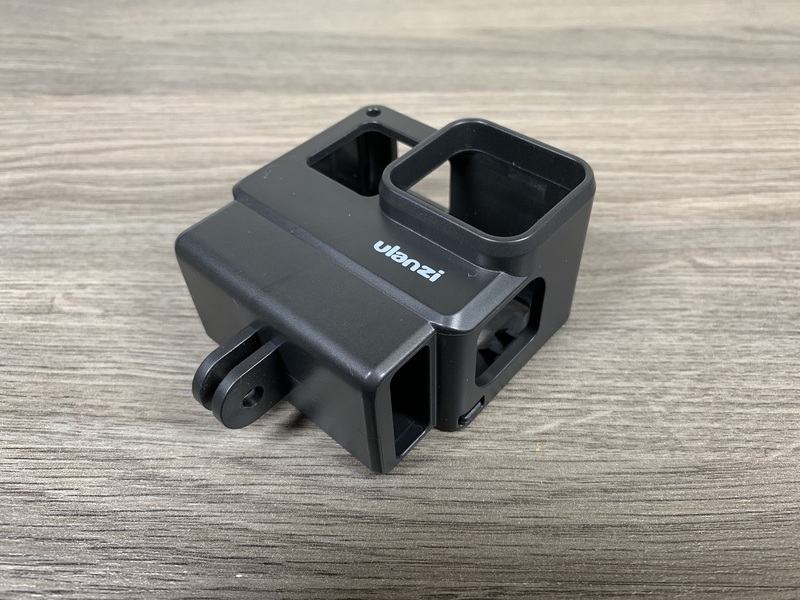 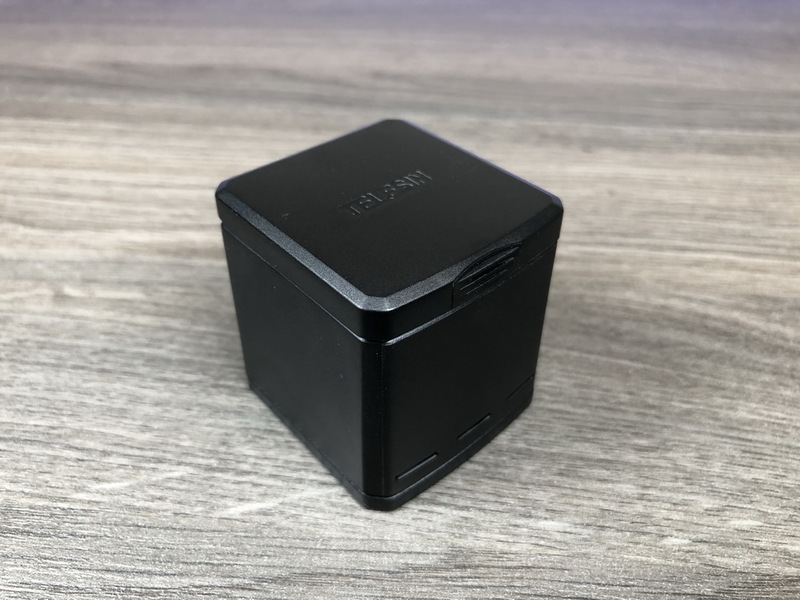 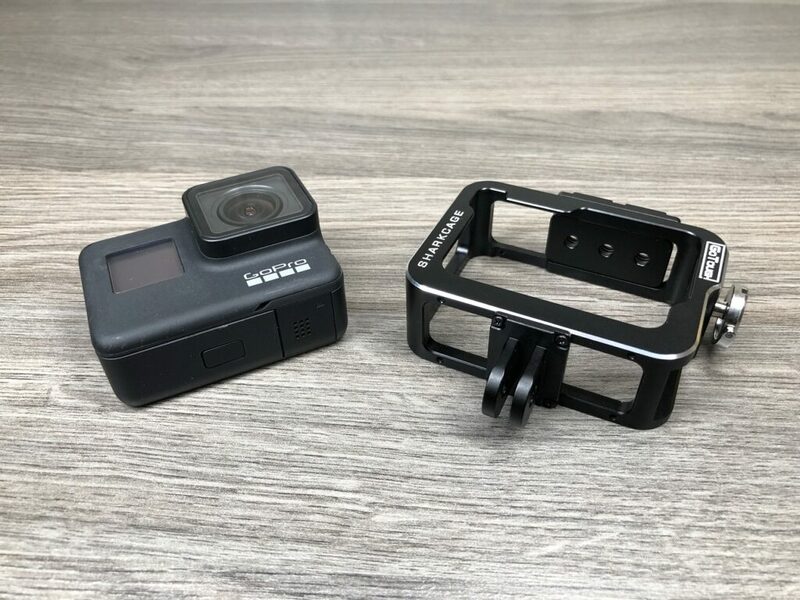 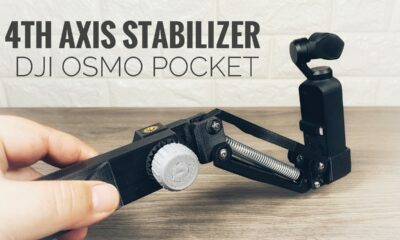 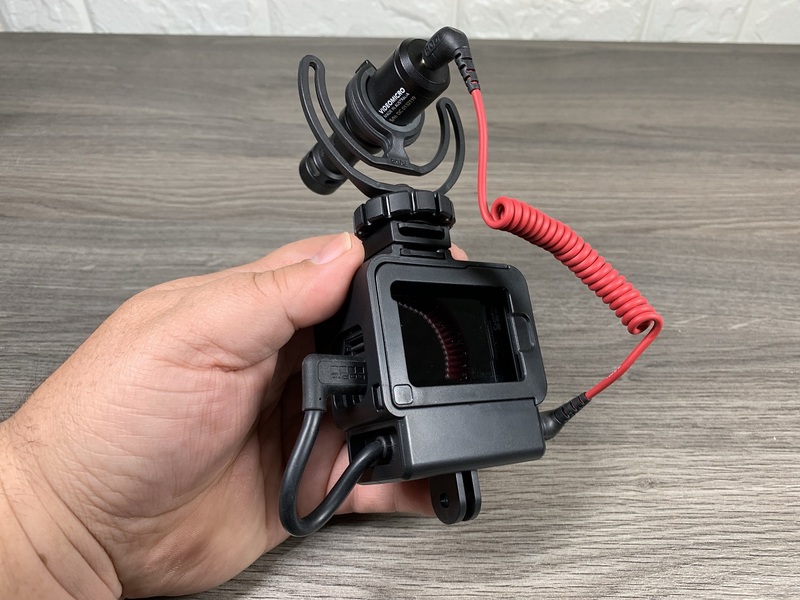 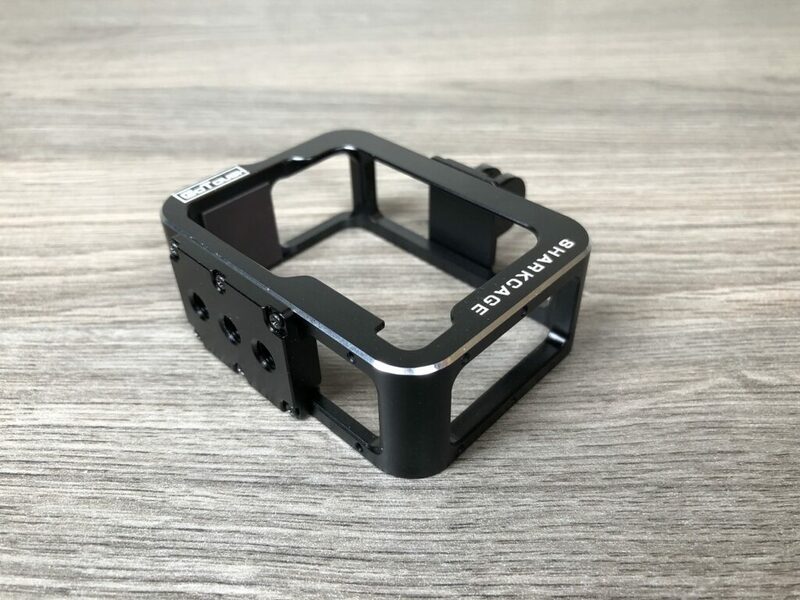 The Telesin triple charger has a very small form factor with a snap lid, this makes it ideal for portability and charging your GoPro batteries while on the go. 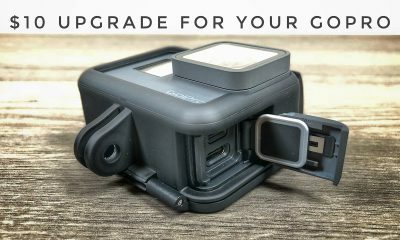 The lid keeps all batteries securely in place and allows you to plug the charger into a power bank and charge your batteries while hiking and do other activities. 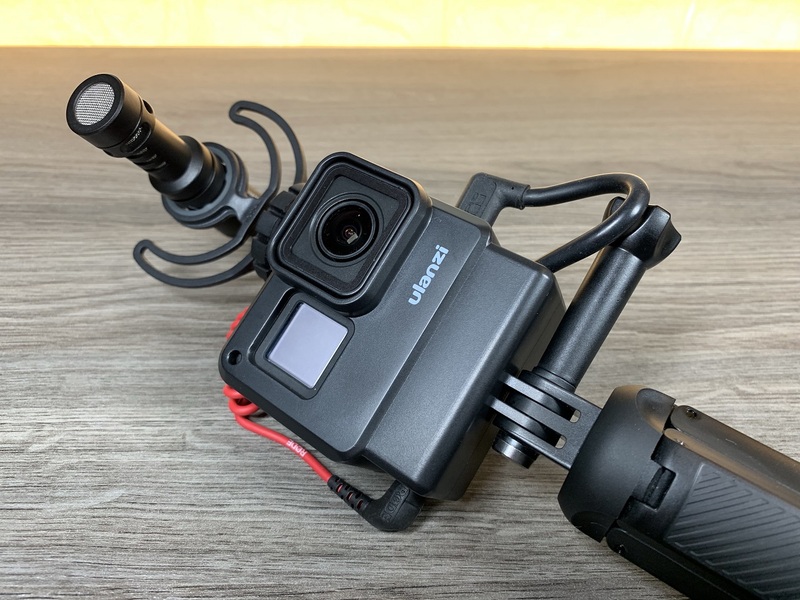 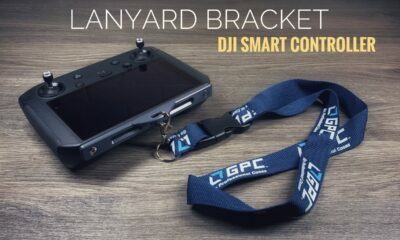 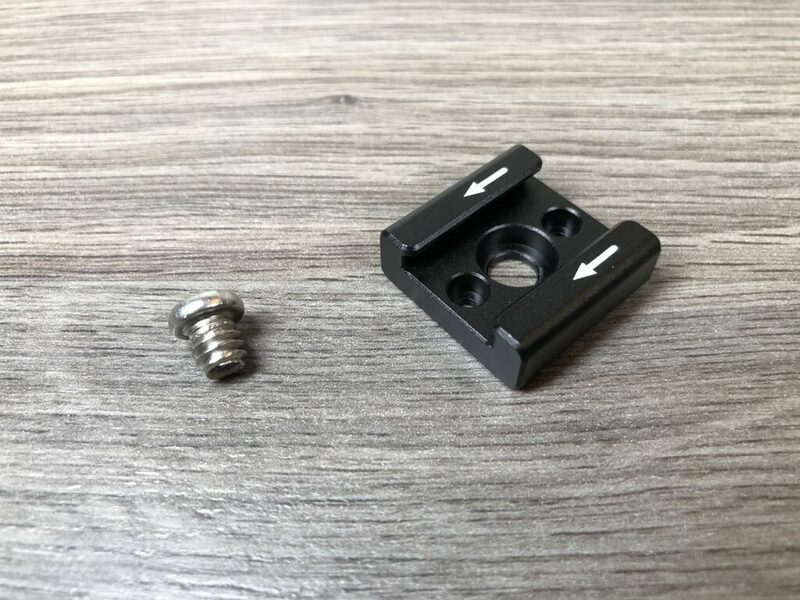 The charging input is a USB-C connection, this allows you to use the USB-C cable that comes with your GoPro as there is no cable included in the package which I do find kind of strange. 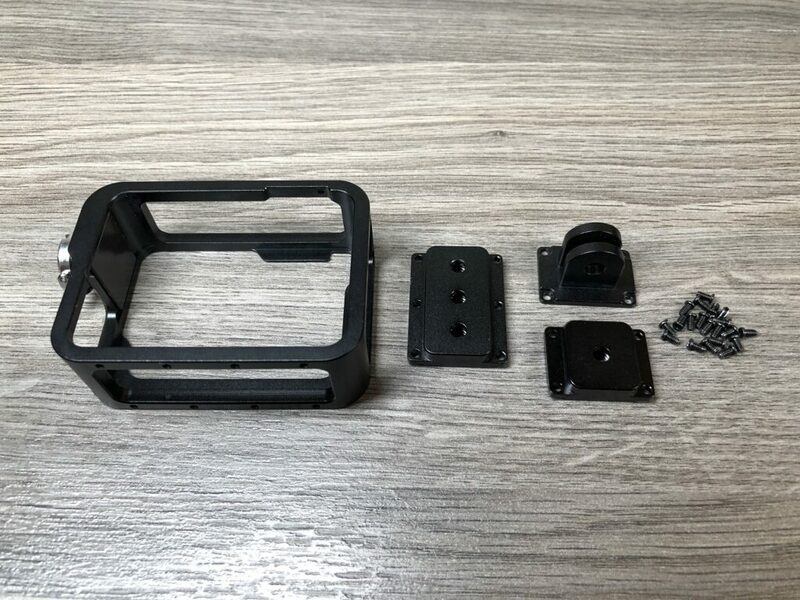 As for the build quality, it feels to be made of a cheap plastic, however, it feels durable and should hold up to daily use. 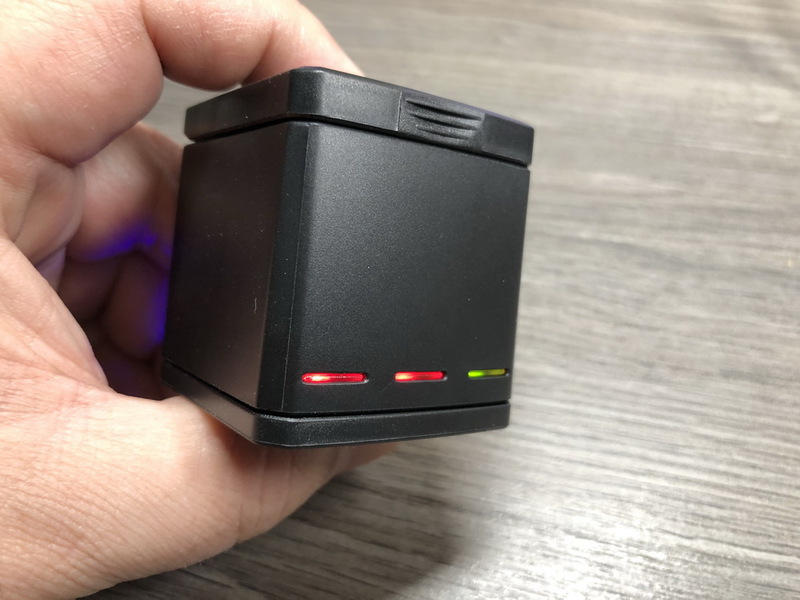 There are 3 chambers inside all with a corresponding LED lights on the front of the unit. 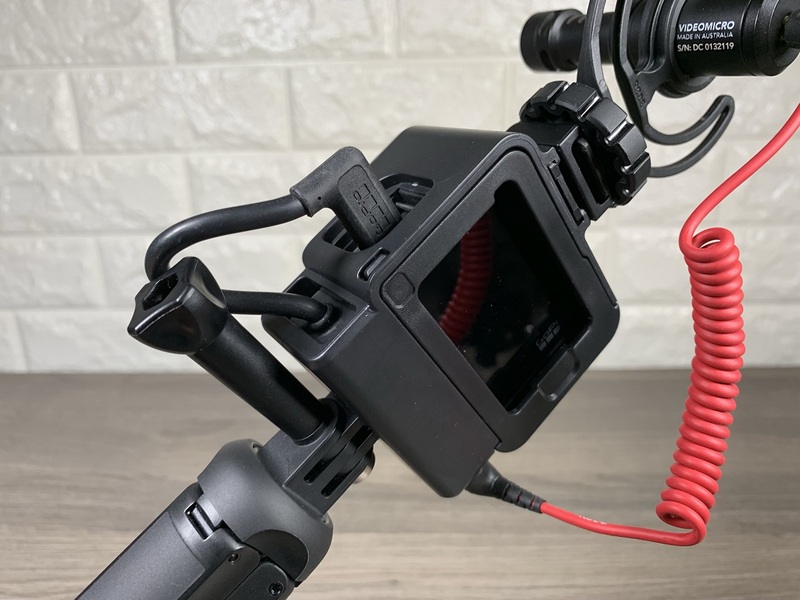 When charging the LED are illuminated red and change to green one at a time as each battery is fully charged. 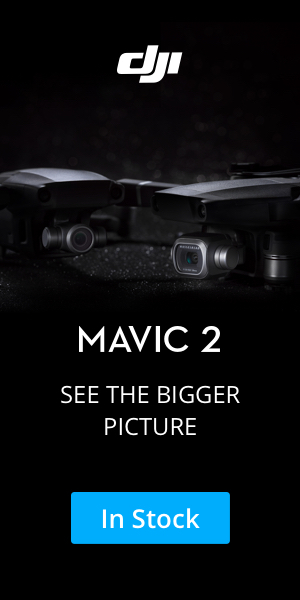 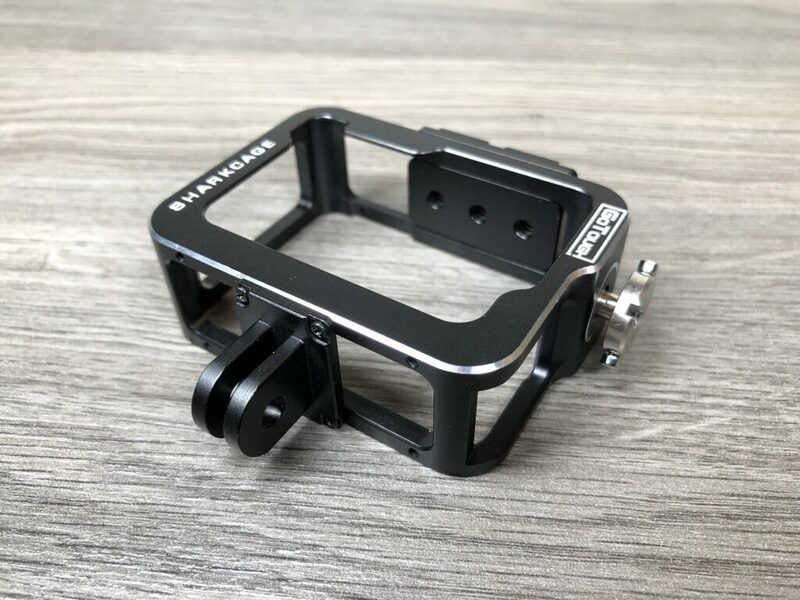 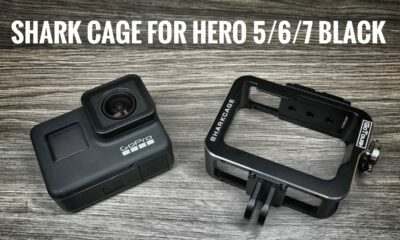 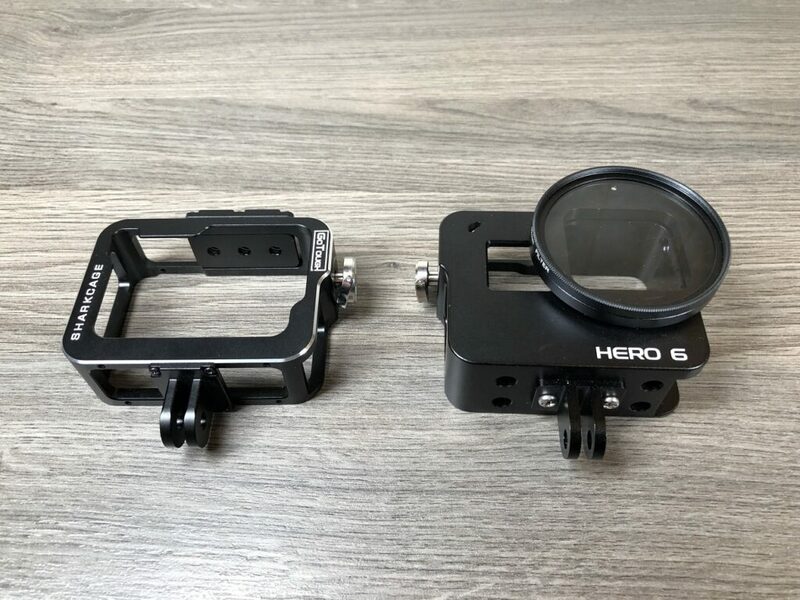 It is priced very reasonably and comes as just a stand-alone charger or as a kit that contains 2 spare Hero 5/6 Black batteries. 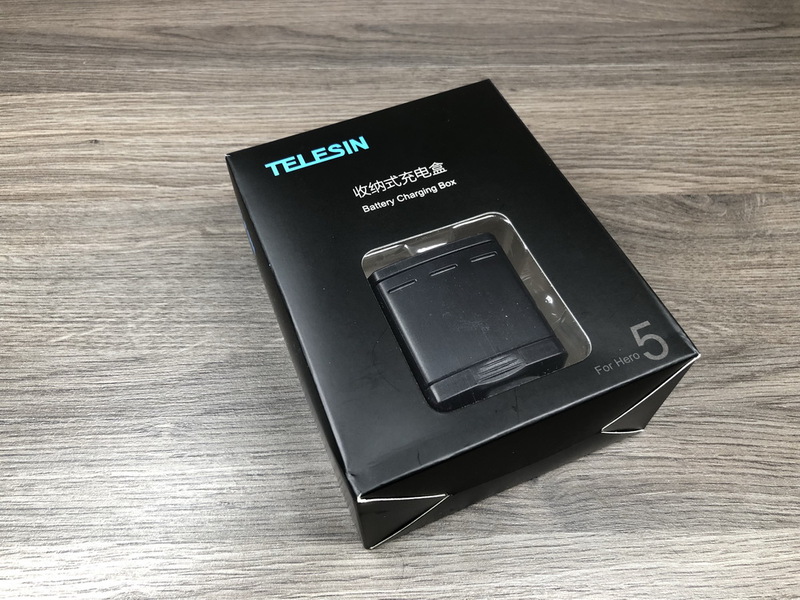 Some photos of the Telesin triple charger. 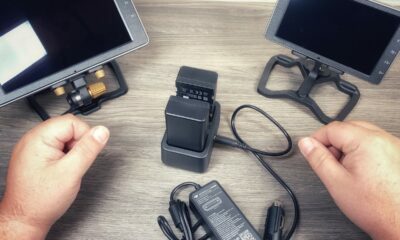 Here is a size comparison of the Telesin triple charger compared to the GoPro Dual charger. 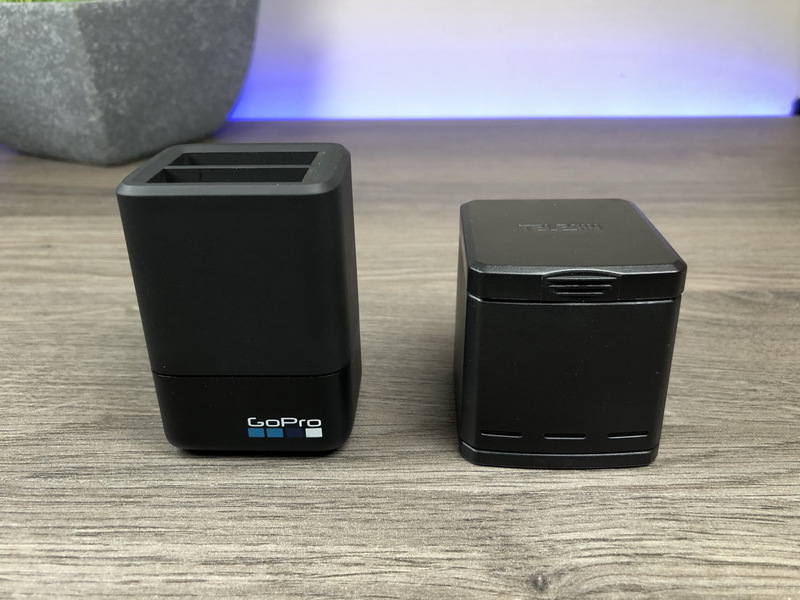 A smaller footprint but can charge a 3rd battery. 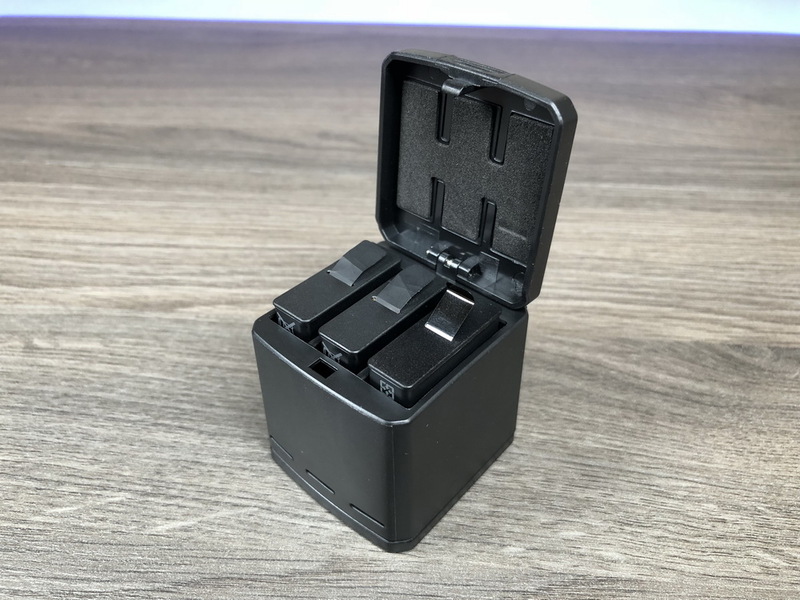 There are 3 charging chambers inside with a snap lid to hold batteries securely in place while charging. 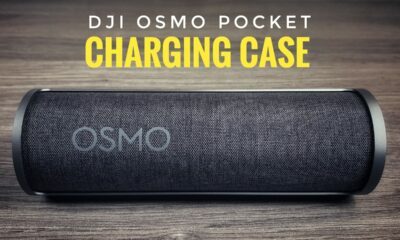 LED lights on the front signify when charging is complete.